It doesn’t take in-depth industry knowledge to know that it’s hard to make a dime in the music business these days. 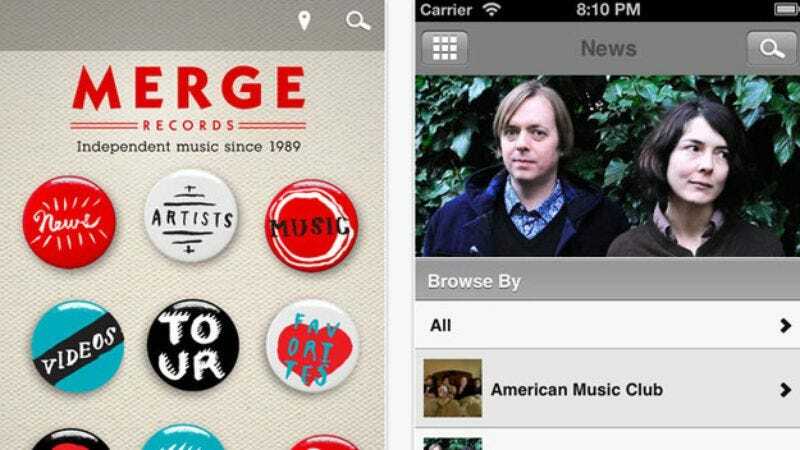 Nonetheless, the folks at Merge Records—home to Arcade Fire, Superchunk, and many many more—have evidently decided to join those whom it could not beat by releasing a new app that makes it even easier to enjoy their content for free. The app will serve as a hub for the Merge faithful to connect, receive news updates, and write concert reviews, in addition to providing access to videos and unreleased tracks from Merge artists. According to the label, the app will also be a source of as-yet-unexplained “exclusive information,” though it’s unclear how information released on a free app could possibly be construed as exclusive, other than to people who don't have smart phones. The app is now available for both iPhone and Android.